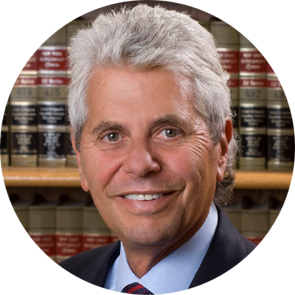 Steven J. Eisman was an executive partner at Abrams, Fensterman, Fensterman, Eisman, Formato, Ferrara, Wolf & Carone, LLP. Mr. Eisman was the law firm's senior litigator and an experienced trial and appellate lawyer. He chaired both the Divorce and Family Law and Civil Litigation and Appeals "Practices" within the firm. Mr. Eisman was a well-recognized lecturer on legal matters and was a regular participant in continuing legal education programs for bar associations and law schools. His reputation garnered him numerous prestigious awards, including selection as one of the Top Ten Leaders in Matrimonial and Divorce Law by Digital Press and he was designated as a New York Super Lawyer, a distinction earned by only five percent of the lawyers in the New York metro area, every year since 2008. He was also selected by his peers for inclusion in The Best Lawyers in America® for the third year in a row. In 2012, Long Island Business News selected him as a recipient of its Leadership in Law awards. In 2014, Long Island Pulse Magazine selected him as the Top Legal Eagle in the areas of Divorce, Child, Family & Matrimonial Law. Most recently in 2015, Mr. Eisman was elected President of the Nassau County Bar Association. Mr. Eisman was often honored and recognized by various community leaders for his dedication to many charitable, civic and other not-for-profit organizations. He was a recipient of the Nassau County Republican Committee’s Theodore Roosevelt Award for outstanding business community leadership and was the second recipient of the prestigious Rick Keidel Memorial Tribute Award from the Matrimonial Law Committee of the Nassau County Bar Association. He was also a recipient of the Education and Assistance Corporation's Distinguished Service and Achievement Award, The Court Officers Benevolent Association of Nassau County's Jurisperitas Award, The Diabetes Research Institute Man of the Year Award, The East Meadow Chamber of Commerce Man of the Year Award and the first ever New York District Kiwanis Past Governor's Council Distinguished Service Award. Betsy R. Malik was a partner at Abrams, Fensterman, Fensterman, Eisman, Formato, Ferrara, Wolf & Carone, LLP. Ms. Malik focused her practice on representing a variety of health care providers on regulatory, compliance and transactional matters. Her clients included nursing homes, dialysis facilities, diagnostic and treatment centers, ambulatory surgical centers, pharmacies, home care agencies, adult care facilities, physician groups, management companies, and other ancillary providers. She had substantial experience and skill representing nursing facilities at administrative and judicial proceedings at all levels involving challenges to various regulations and statutes. Ms. Malik had been a presenter at industry associations, including New York State Health Facilities Association, New York State Bar Association's Health Law and Long Term Care Sections, the Hospital and Health Law Committee of the Nassau County Bar Association, American Association of Physicians of Indian Origin (AAPI), and Bergen Indian Medical Association (BIMA). She was a member of the New York State Bar Association's Health Law Section, the American Health Lawyers Association and the South Asian Bar Association as well as a charter member of the Rotary Club of Gold Coast/Lake Success and a Board Member of the Business Resource Group and the Executive Committee of BIMA. 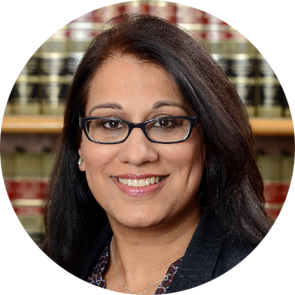 Ms. Malik was designated as a New York Super Lawyer, a distinction earned by only five percent of the lawyers in the New York metro area in 2013, 2014 and 2015. Ms. Malik was featured in the Long Island Business News Who’s Who in Professional Women in 2014.